I generally work with a pdf and a word document side by side, but for some reason Foxit Reader won't allow me to resize the window beyond a certain width, which is too wide to also have a word document open next to it. This seems to be a limitation of the software and not the computer, as it works fine with Adobe. Can anyone shed any light as to whether this is an actual limitation, or am I doing something wrong? I'm using a 2009 unibody macbook if that helps. 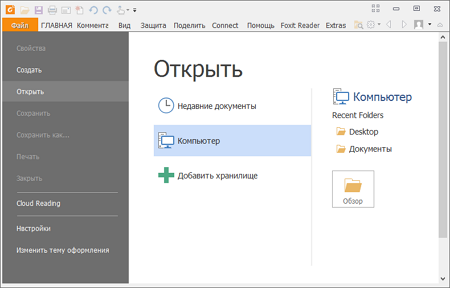 2: Do you run Foxit Reader for windows or Foxit Reader for MAC on your computer? 3:Please give us the version number of your Foxit Reader. 4:Please reduce the width of the Foxit Reader windows to smallest that you can,then please take a screenshot of your desktop to show us the Foxit Reader window there. Any news Lisa? It's been awhile. QA team to do further analysis with report ID#MACLNX-1761.I will keep you posted for any updates about it or you may also write to support@foxitsoftware.com with this report ID#MACLNX-1761 to track its processing status.